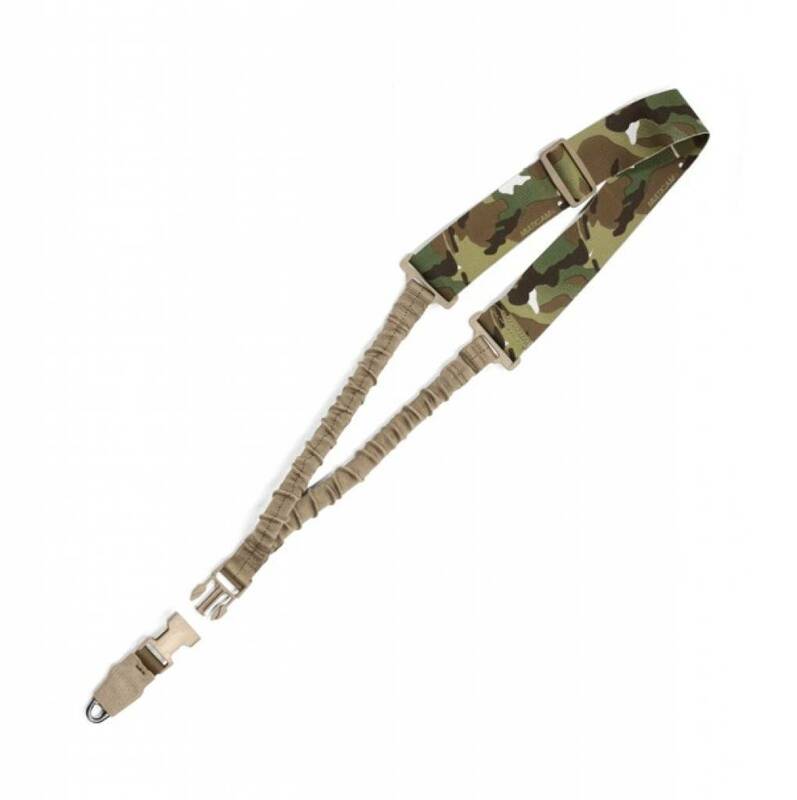 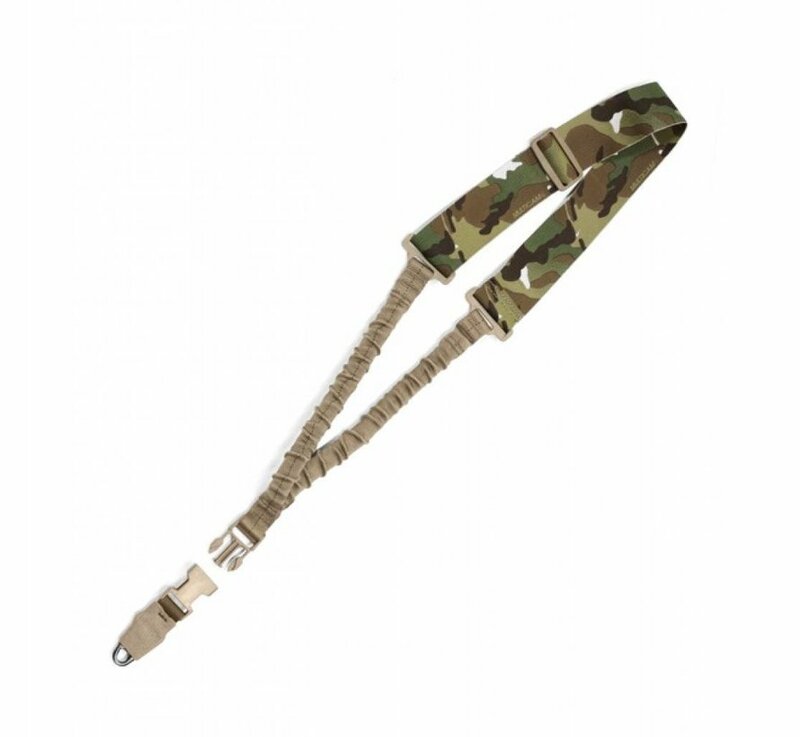 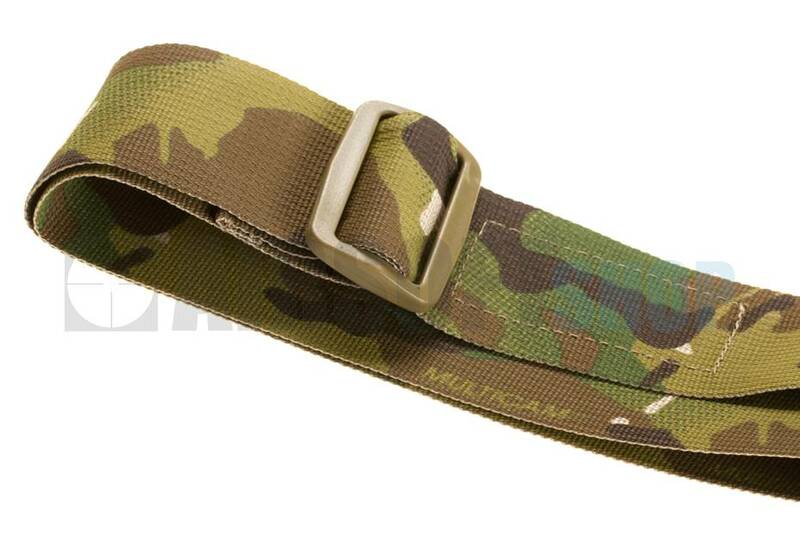 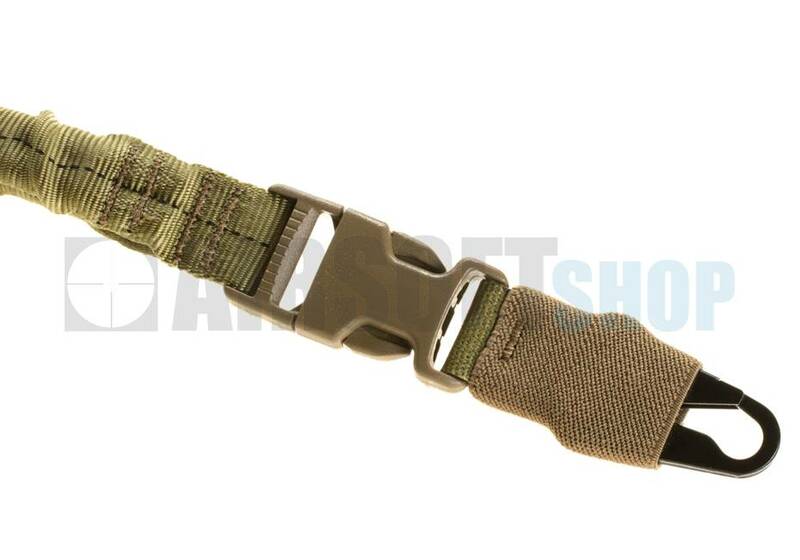 Warrior Assault Systems Single Point Bungee Sling Multicam. 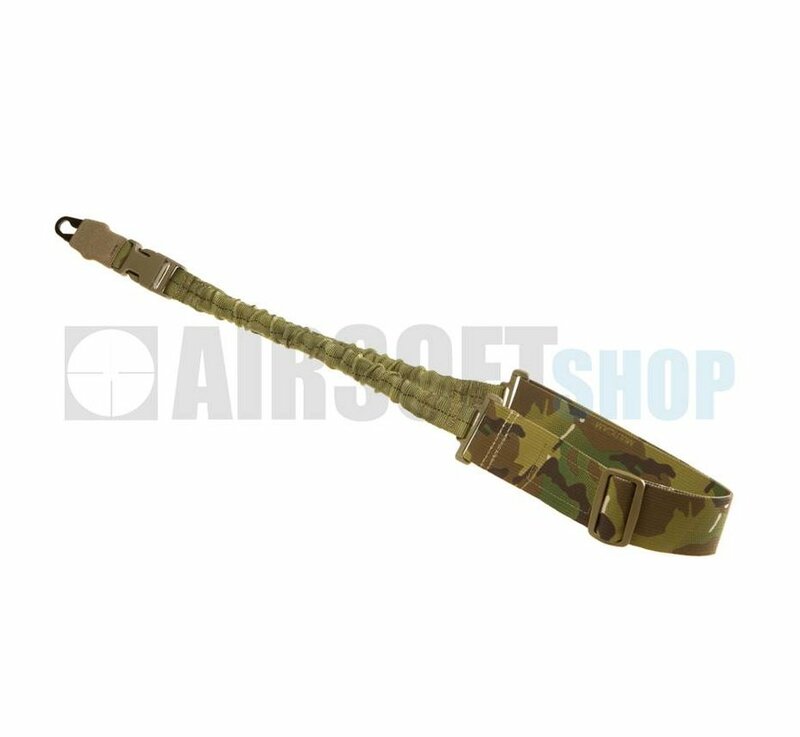 Warriors Single Point Bungee sling (SPBS) is complete with H & K hook and is ideal for transitions from left to right and weapon strikes. 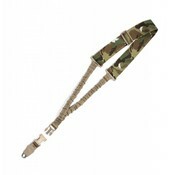 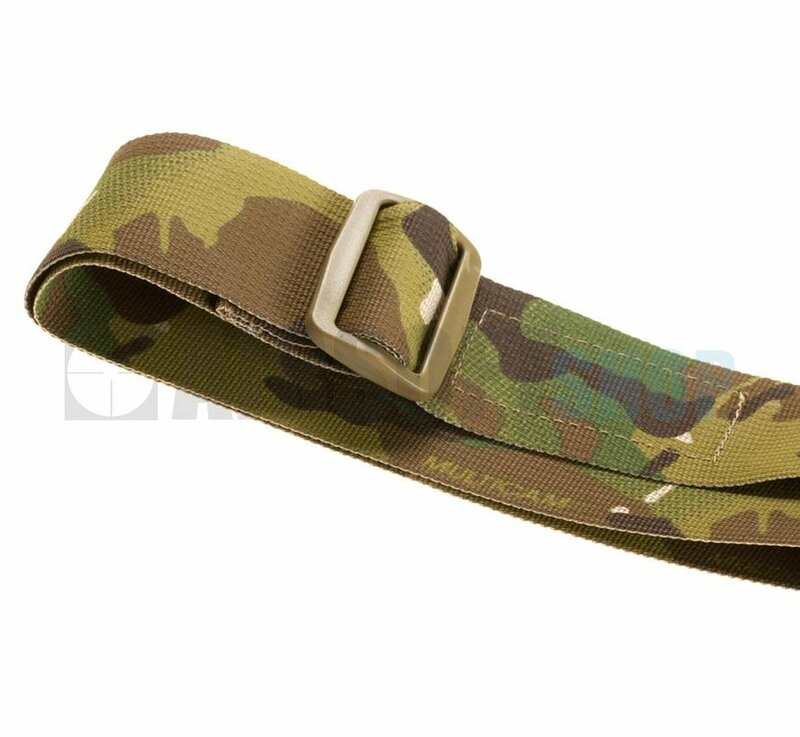 It is made from 2 Inch U.S.Mil Spec 17337 webbing with an incredible breaking strength of 2200 Lbs. 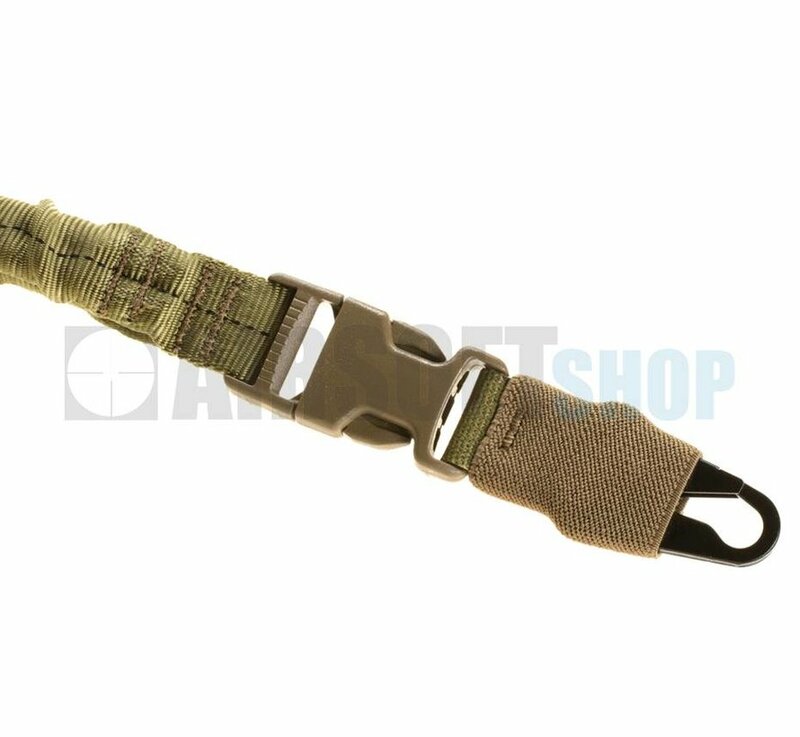 All stress areas are Doubled Bar tacked with Mil Spec Thread. The SPBS is fully adjustable for length with 2 x 16 mm elastic bungee cords covered in 1" Inch U.S.Mil Spec 5625 tubular webbing with a breaking strength of 4000Lbs. 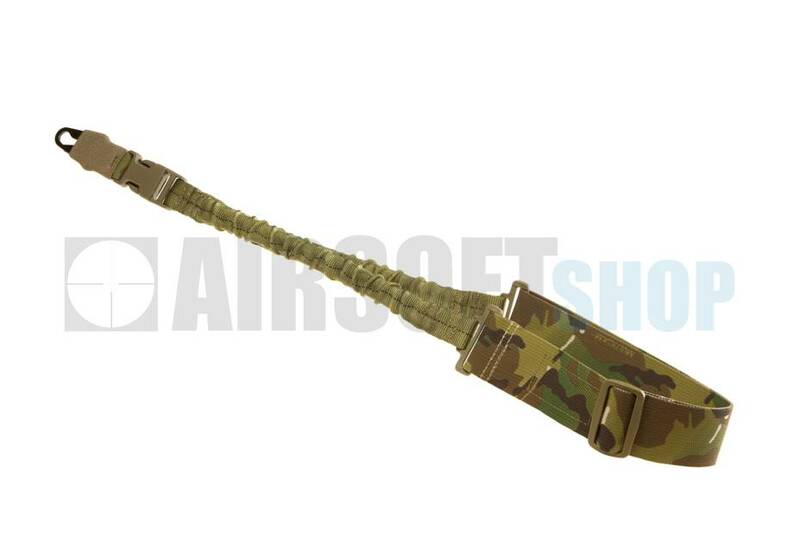 The sling is attached to the weapon hook by way of a ITW Nexus 1" inch Clip (with non reflective IR properties), the clip allows the weapon to be removed from the sling without having to take it off the operator. The SPBS comes with a H & K Hook made from high quality Black Stainless Steel with an Oxide Finish.